lindsay – Two things have always come easy for Lindsay High School (LHS) senior Leif Caesar: swimming and being a leader. Although Leif Caesar was born in Illinois, the hours spent making his city a better place would make you think he’s a native. He has been very active at LHS and in the community. 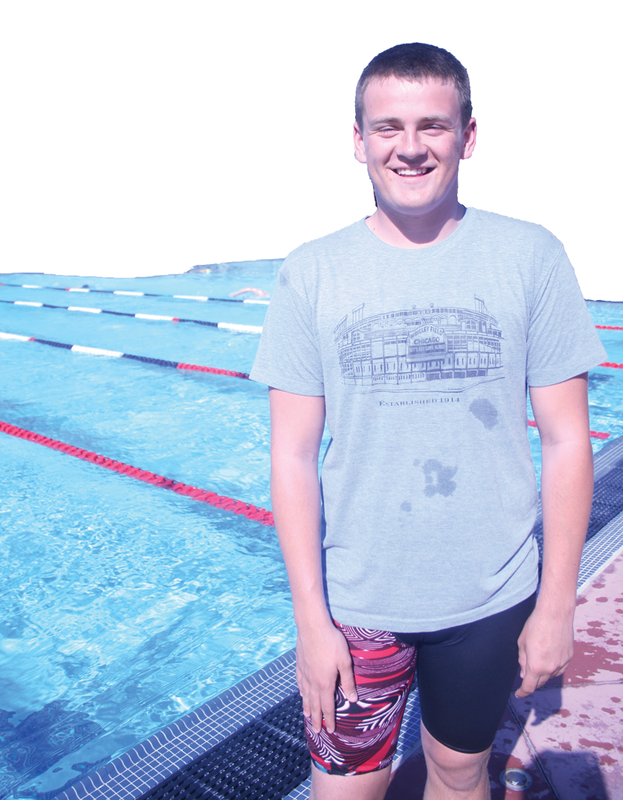 He has swum competitively since the age of 6, and has been a four-year varsity swimmer at LHS. “I’ve become a strong swimmer over the years. And I’ll be like that for the rest of my life,” said Caesar. He has been a CIF Valley Championship qualifier for Division II swimming the last two years, and this year both he and his coaches are hoping he will qualify for the 500 free style in Valley. According to head coach Brandi Zike, “He had the skills coming in as a freshman.” With a wealth of knowledge the four-year varsity swimmer has spent that time fine tuning his talent. Caesar has dedicated himself to the team and can always be counted on in a leadership capacity, from demonstrating accountability and dedication to the sport as well as cohesiveness and true mentorship to his teammates. Caesar stated that as a leader his role is “making sure the whole team is having fun and being successful.” His leadership on the team can be seen in his organizing team activities to keep the swim family close to each other and teaching the coaches how to use the computer programs during swim meets. When not in the water, he is an active member and leader in various clubs on the LHS campus and serves as the senior class vice-president. Leif is involved with National Spanish Honors Society, Library Book Club, Team Empower, and has also participated in Mock Trial and FBLA. Caesar has tutored kids at Kennedy Elementary, and has volunteered at multiple school events there as well as community service projects like Kids’ Day, National Spanish Honors Society fundraisers and the LHS blood drive. Caesar was recently named Lindsay’s 2015 Youth of the Year, an honor he holds dear. However, he will soon be leaving the city he loves to attend either UC Berkeley or UCLA. The senior was accepted into both schools and will decide which he will attend once he receives financial aid.